Khandelwal, Khorsand S, Mitchell SH, Joffe AM. Anesth Analg. Based on the data from elective surgical patients, positioning patients in a back-up head-elevated position for preoxygenation and tracheal intubation can improve patient safety. However, data specific to the emergent setting are lacking. 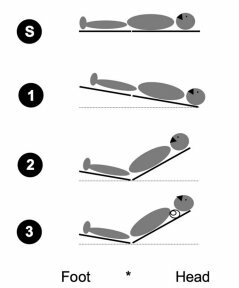 We hypothesized that back-up head-elevated positioning would be associated with a decrease in complications related to tracheal intubation in the emergency room environment. Placing patients in a back-up head-elevated position, compared with supine position, during emergency tracheal intubation was associated with a reduced odds of airway-related complications.